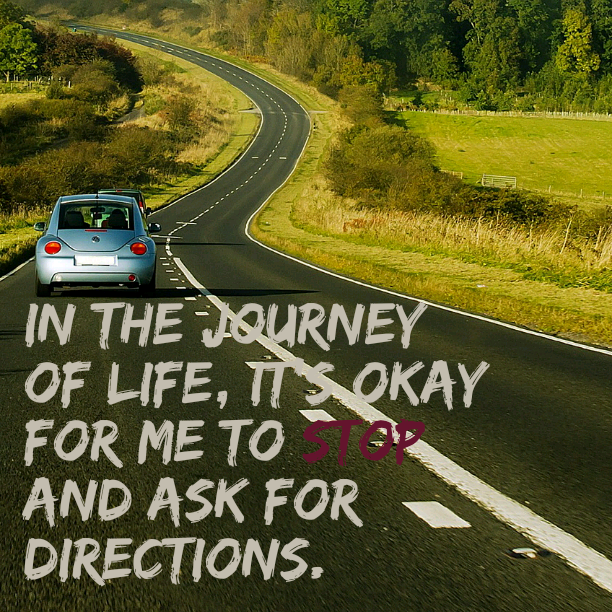 I hope you have read the first part of this post on how and why you need to stop and ask for directions, in order to make sense of where I am going with it. Just in case, please click on this link. As a Business woman and even when I was full time in Pharmacy, I am always looking for ways to develop myself and my business. Sometimes, you hit plateaus where you just seem to be coasting. You are uncertain how to take it to the next level or you are too worried to ask for directions because it may seem like you do not know what you are doing. Swallow your pride and be honest. Look for someone who has walked the path before you whether it is by reading a book, a biography, shadowing, coaching, mentoring, do some training. Take a few ideas from any of the above and run with it. Not too many ideas at once though. That would be too overwhelming. Take one great idea and implement it. Keep a note in your journal about other ideas so that once you have perfected one idea, you can move on to the next one. This is one that I have not always been that great at and I imagine a lot of people feel the same way. Our bodies may be a temple but we certainly do not treat it as such. And then one day, your knees begin to creak and your back hurts and suddenly, you start to realise that your body really does have a limited date on it, particularly if you do not care for it. Recently, I held a survey on the Facebook page and lots of people indicate that they wanted to know about getting healthier. Comments were added that mentioned that when we are healthy then we can easily accomplish all the other things we dream about. That is true. With sick bodies, it is considerably harder to fulfill your dreams. In these days of the internet, there are numerous resources available online that can help you stay healthy or become healthy. Of course, you certainly need to be wise about where you get your information and do not get it just from places that only care about selling you something. A few sites to look at would be here on Mum in Business with info on weight loss, another lovely website would be Organic Momma, for more conventional help, refer to the NHS site and there are numerous other sites as well. Stay aware of where you are and where you are going. Make sure your pride is not taking you on a longer journey than is actually necessary. Just ask for directions.